For past many years while China has been in the news for its efforts in exploiting the vast hydro power potential of Yarlung Tsangpo River of Tibet Autonomous Region India has also been attempting to tap the potential of this river known as Brahmaputra in India. 2.They would have studied in detail the kind of security problems our agencies faced after the execution of Maqbool Bhatt of the Jammu and Kashmir Liberation Front in the Tihar Jail in 1984 for his involvement in terrorism. 3. The circumstances in 1984 were not as complicated as they are today. We had to contend with only dangers of retaliation by the Kashmiri terrorist organisations. 4.In 1984, we were not faced with dangers of possible retaliation by Pakistani jihadi organisationssuch as the Lashkar-e-Toiba, the Jaish-e-Mohammad, the Harkat-ul-Mujahideen.They were busy fighting the Soviet troops in Afghanistan and the attention of Pakistan's Inter-Services Intelligence was also in Afghanistan. 5.They were not in a position to mount instant retaliation.Their retaliation was delayed till 1989 after the Soviet troops had withdrawn from Afghanistan. 6.Today, all these groups, particularly the LET and the JEM which played a principal role in the attack on the Parliament, are well primed against India and are in a position to mount quick retaliatory attacks not only inJ&K but also in the rest of India with the help of theiraccomplices such as the Students Islamic Movement of India (SIMI) and the Indian Mujahideen. As in previous years, the Tibetans are not celebrating their New Year's Day this year too which falls this month. 2.Tibetans in the Tibetan Autonomous Region (TAR),Qinghai, Gansu, Sichuan and Yunnan as well as the Tibetan diaspora abroad, including in India, are observing their New Year's Day as a day of mourning and prayers in memory of 99 Tibetans who have so far committed self-immolation ( 80 of them fatal) in the Tibetan areas of China to demand their freedom and the return of His Holiness the Dalai Lama to Lhasa. 3.Their hopes that the advent of a new Chinese leadership headed by Mr.Xi Jinping could mark a relaxation of the suppression in the Tibetan areas and a willingness to address the grievances of the Tibetans have been belied so far. 4.Since Xi took over as the Party General Secretary from Mr.Hu Jintao in November last year, the Party has shown no inclination to re-consider its policies of suppression and forcible integration of the Tibetans which has driven many young Tibetan monks and others to take the desperate step of self-immolation to draw the attention of the international community to their plight. 4.Instead of recognizing the continuing self-immolations as an expression of desperation and anguish, the Chinese have been projecting them as part of a conspiracy against Beijing mounted by His Holiness and the Tibetan Youth Congress (TYC) and other external organizations such as the Voice of America and Radio Free Asia. 5.Instead of sympathising with the relatives and friends of those who committed self-immolation, they have been rounding them up and prosecuting them on a charge of instigating the self-immolations. Eight of them have already been sentenced after sham trials to various terms of imprisonment, including one of suspended death sentence. 6. In the face of this wave of suppression to put down the self-immolations, the Tibetans in India observed five days of solidarity with the Tibetan struggle for freedom. They observed a day of prayers on February 1 at New Delhi that was attended by about 1000 people including many Indian opposition leaders. 7.Lobsang Sangay, Prime Minister of the Tibetan government-in-exile, has said the convictions were unfortunate because "repression is the cause" of the self-immolations. 8.Sangay said it was unfortunate that the Chinese government had resorted to "sham" trials that had "no basis or legal process." 9.He said he had asked Tibetans around the world not to celebrate the Lunar New Year this month out of respect for those who have died from the self-immolations. 10. "As a form of condolences and solidarity to all those Tibetans inside Tibet … I have asked Tibetans not to celebrate, not to organize any festivals, but to wear traditional dress and go to monasteries and pray for all those who have died and continue to suffer in Tibet," he said. Turbat (Balochistan), Feb.4 (ANI): Thousands of Baloch people, including women and children, took part in a protest rally over the weekend in Balochistan's Turbat District. They were protesting against atrocities committed on them by the Pakistan authorities. Turbat echoed with "Free Balochistan" slogans. Held under the aegis of Baloch Student Organisation (Azad) and Baloch National Movement (BNM), the rally was said to be the largest in Turbat's history. The Baloch are angry about continuous military operations in the region and the ongoing 'kill and dump' policy of the Pakistan Army and spy agencies. They also raised doubts about the silence of international media, international human rights organizations and United Nations in raising the issue of gross human rights violations in Balochistan. 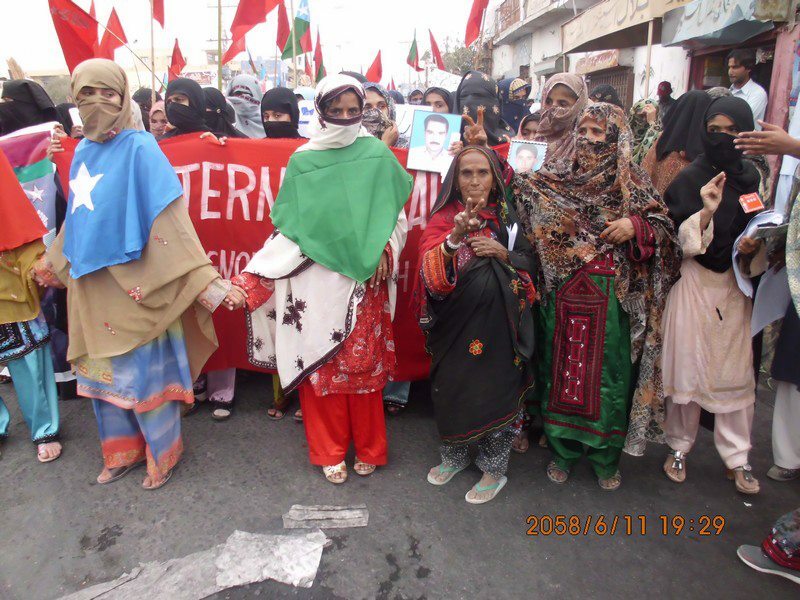 Kareema Baloch, the vice chairperson of the BSO-Azad, led the parade from Degree College Turbat to Fida Shaheed Square, where a sit-in was staged. Waving the flags of independent Balochistan, the protesters chanted slogans for a free Baloch nation. The protesters gathered from Mand, Balecha, Dasht, Turbat, Shapok, Hoshaap, Keesak and other areas of Balochistan. Addressing the protesters, BSO-Azad vice-chairperson Kareema Baloch said, "The Baloch nation is resisting for a free state from past many decades. Thousands of Baloch have already laid their lives whereas thousands are still suffering in torture cells. Despite all these atrocities, the international media has remained silent. The UN, which has taken notice of human rights violations against Congo, Palestine, and Kosovo, is also ignoring the Baloch genocide by Pakistan and Iran." She further said that Pakistan is planning to start a massive military offensive in Balochistan to pave the ground for upcoming Pakistani elections. The operations in Mashkay, Gebun, Mastung and Mangochar, she said, were also carried out please these pro-Pakistan Baloch parties. "The Baloch nation should boycott the 'traitors' and Pakistani electoral process, because these elections are to strengthen and legitimize the occupation of Balochistan," added Kareema. WASHINGTON, D.C- Dr. Wahid Baloch, President of the Baloch Society of North America (BSO-NA), on Sunday strongly condemned the ongoing Pakistani military aggression and offensive against the defenseless Baloch people in Pakistani-occupied Balochistan and reiterated his call for the U.S., UN and international community to act immediately to save innocent lives. "The situation is of dire need for international attention, action and intervention," said Dr. Baloch. 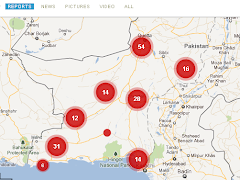 Pakistan's armed forces, the FC, empowered by the Islamabad-imposed Governor of Balochistan, have intensified their aggression, extrajudicial target killings, arrests, kidnappings, raids, arson and daily attacks against the Baloch citizens with full impunity. There passes not a single day where the FC forces do not raid and burn a Baloch house and/or kill and kidnap a Baloch citizen. This is all being done under a media blackout so the world community is shielded from the atrocities and ground truth. The situation is getting worse by the day as the FC attempts to crush the will, aspirations and resolve of the Baloch people and their desire to FREE their homeland from the illegal occupation by Pakistan. Dec 25 – The FC troops launched their ugly campaign against the Baloch people in Mashkey town, where they raided the house of top Baloch leader Dr. Allah Nazar to arrest him. They put the whole town under siege, closing all the entry and exit routes, leaving the inhabitants of the town with no food, water and medicine for several days. They killed more than 50 people including women and children and burned down several houses, including Dr. Allah Nazar's home and terrorized his elderly mother. The town was blockaded and under siege for several days. Jan 14 – Governor rule was imposed in Balochistan, using the pretext of Hazara killings, an orchestrated well planned act to give FC full policing powers and control of Balochistan which allowed them to target, kill and kidnap innocent Baloch with impunity. Jan 18 – FC troops raided several Baloch homes in Mastung, where they target-killed two Baloch and tried to justify the slayings by labeling the victims "BLA terrorists." Jan 28 – Plain-clothed ISI agents raided a Baloch house in Lyari, Karachi and arrested four Baloch students from Panjgur (Mekran), ages 15 to 23, (Salman Baloch 15, Ejaz Baloch 21, Zahid Baloch 19, and Iftikhar Baloch 23), as a part of the ongoing crackdown of Baloch political leaders and activists. They have been taken to undisclosed locations and their whereabouts are still unknown. Jan 29 – Seven bullet-riddled bodies were found at two places in Balochistan, dumped by Pakistan's Frontier Corps (FC) forces. Three bodies were also found in mountains located a short distance from Quetta, the capital of Balochistan. Police officials said the hands and feet of the dead men were tied with rope. Jan 20 – Four Bugti tribesmen were killed by FC forces in Pir Koh area of Dera Bugti district, labeling them as "BRA militants". Over the past two years hundreds of bodies of "missing persons" or people detained without charge by security forces have been found across Balochistan. Most of the dead have been members of Baloch Nationalist groups. Human Rights groups have blamed security agencies for these killings. Jan 31 – FC troops surrounded the town of Mangocher and killed seven Baloch citizens, also labeling them as "BLA militants" as a facade. As the FC's daily offensive and aggression continues against the innocent unarmed defenseless Baloch people, desperation and resentment is growing deeper and stronger. The Baloch are determined to free their land from the illegal occupation of Pakistan. How long will the world community ignore the desperate cries of Baloch people? When will they be saved from Pakistan's state terrorism? These are the questions that every Baloch is asking today amidst never-ending death and misery. "The International community must fulfill its obligation to the Baloch people and act before it is too late. The International intervention is long overdue and must be carried out without any further delay to save countless lives of innocent Baloch," said Dr. Baloch.